This unique 62.44 acres just 3+ miles west of Cisco, Texas has a elaborate entrance that fronts I-20. The property contains a 2+ acre lake that is teaming with black bass and an assortment of catfish species. A duck hunters paradise as well as a target rich environment for deer, hogs, quail, dove, and turkey. Mostly heavily wooded there are openings and a power line easement (transmission) provides for an area that can be planted in food plots for your choice of game. 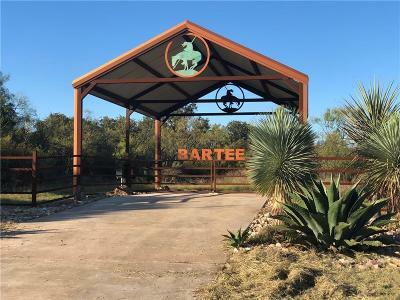 This property is PERFECT for the person looking for a great hunting property just 90 minutes west from the metroplex.